President Obama's Press Conference couldn't seem to stay way from the subject of Occupy Wall St. It came up time and again. Obama mentioned it and then Jay Taper of ABC News brought it up again. 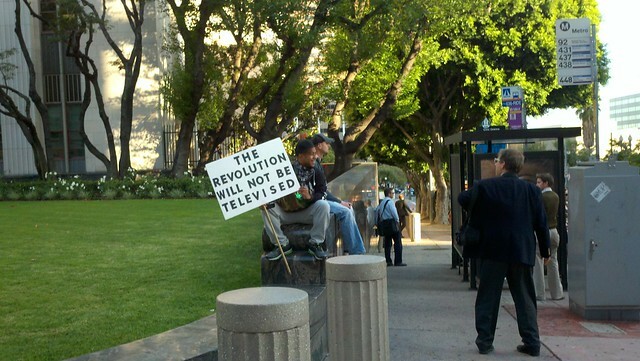 MSNBC is running interviews of people at the various occupations including Occupy Los Angeles. 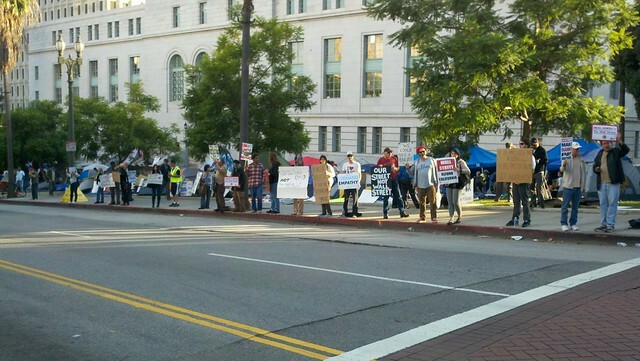 Fox News 11 was live at Occupy Los Angeles just before the noon march on an undisclosed bank with SEIU. It's beginning to feel like the story the major media wouldn't cover is becoming the story they can't stop talking about. 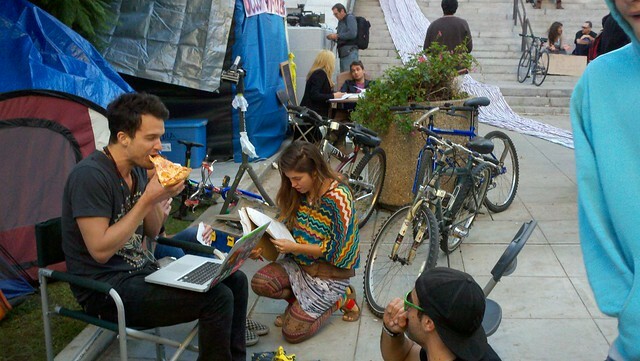 Occupy Los Angeles was once again bathed in sun light as the rain cleared up and the camp dried out. More and more occupies have been arriving everyday to the point that the north lawn is getting crowded with tents. Tomorrow the film shoot and the farmer's market will be over and the occupation moves back to the more spacious south lawn. 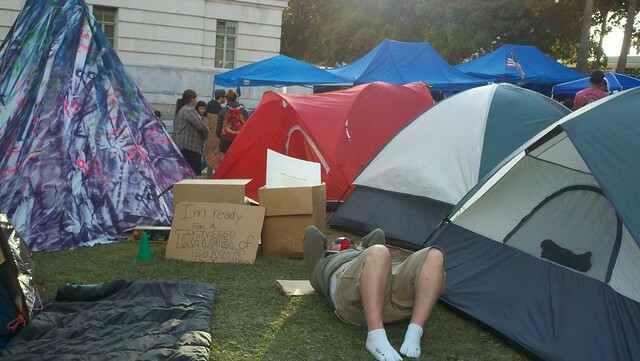 While the move from the north lawn had been forced by circumstances and the city, it turned out to be another thing that worked well for Occupy Los Angeles. Anyone who has ever held a small event in a large hall, knows how that can convey the feeling that not many people showed up even through turn out was greater that expected. The north yard was actually more suitable for their numbers in the beginning, now it is bursting at the seams with occupiers and tents. It's very crowded and that makes for good visuals. The move tomorrow will allow them to spread out a bit and make room for new occupiers. If the present rate of growth continues, both lawns will be packed by the end of October. The renowned actress Rosanna Arquette toured Occupy Los Angeles in the morning, was interviewed on the live stream, did photo ops with some of the occupiers and told them why she was there, "Greed is not the American way." Food contributions are backing up a the donations keep coming. Hot meals are being prepared by the food committee and served several times a day. Somebody really knows how to cook because the meals are delicious. There is also a medical tent and while no one has mentioned any injuries or sickness, a lot of campers are losing their voices. The media team is making sure they are well covered by uploading new pictures and videos on an hourly basis. Their equipment and capabilities are also improving as they are also starting to receive donations. 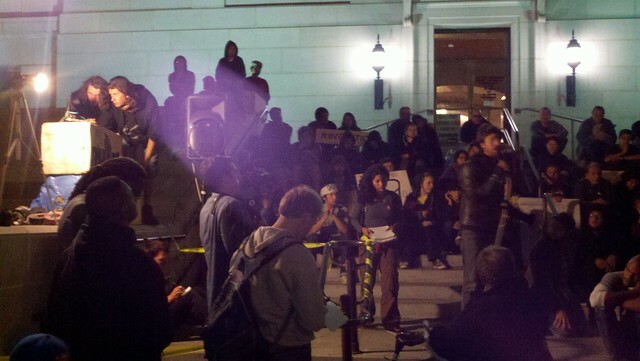 The are a lot of media people around all day now, and most are not part of the media team or OccupyLA. A realization is developing that what is happening here is historic and part of a transformative movement so now it seems that everyone wants to get the story, alternative and major media alike. There is also an on-site print shop that not only does the usual flyers and signs can silk screen T-shirts and just about anything else that is brought to them. More and interesting facilities are being created every day. The lending library keeps growing with contributed books, a bike repair depot was setup and today a bike share program for occupiers has been established with a half dozen donated bike. 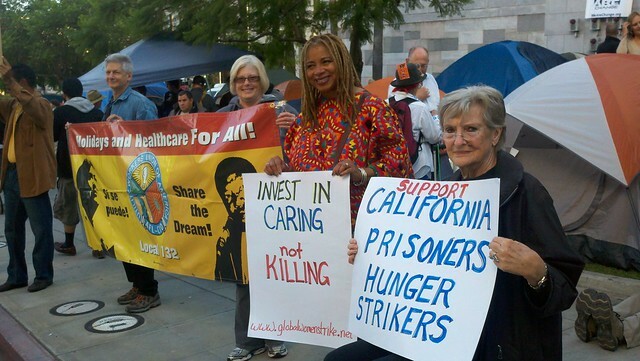 Today KPFK, the Los Angeles Pacifica Radio affiliate also setup a tent and Margret Prescott did a live broadcast from Occupy LA. On advantage of the city hall location is that it sees a lot of traffic all day long. Some protesters are always standing on the curb with signs. The honking of cars, trucks and buses to now becoming so constant that most are growing use to it. 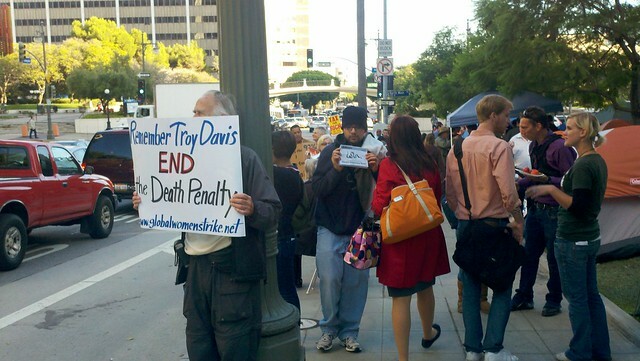 Clearly Occupy LA has hit a responsive cord among the people. Workshops and affinity groups are being established for a wide variety of interests. Local actions are at the heart of what Occupy LA is about and today they had a spirited march at noon with about 800 SEIU members and occupiers from city hall to the bank on 7th and Figueora. 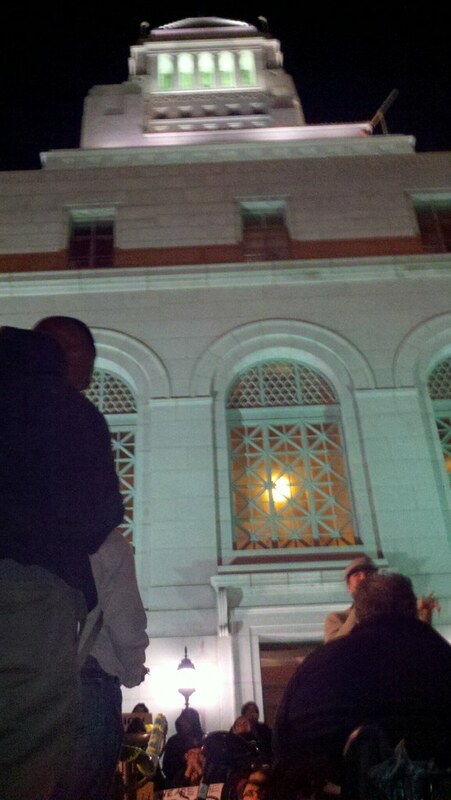 There was a spirited rally outside the bank. Eight protesters went into the bank and set up a tent. They were arrested. Last night some people met into the morning to work out some differences and deal with some bad feelings. This afternoon the facilitation committee met as usual before the General Assemblies and learning from the experiences of the first five GAs. 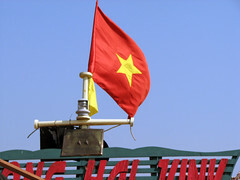 The result was one of the most successful General Assemblies ever.